The Company can trace it’s roots back to Pointers in the 1940s when, previous owner, Ivor Kiddle became General Manager of the crane and plant hire section. In 1970 RMC bought out Pointers, but it soon became clear that RMC were not really interested in plant hire, favouring the sand and aggregates deposits side of the business. Realising that the plant hire section of the business would soon cease to be viable, Ivor Kiddle set about organising one of the first management-buy-outs in the Country, bringing Quinto Crane & Plant Ltd into existence in September 1977. At this time, the Quinto name reflected the nature of the equipment being run at that time; wheeled and tracked 3600 excavators, a few ‘crawler’ and some early mobile ‘strut-jib’ type cranes. Over the next few years the company saw the crane side of its operations increase with the, now familiar, ‘telescopic jib’ style mobile cranes replacing the older models and becoming a specialist focus area for Quinto. Quinto takes its name from the Latin ‘quintus’ translated into the modern Italian Quinto meaning ‘fifth’. It refers to the original 5 depots of Peterborough, King’s Lynn, Norwich, Ipswich and Chelmsford, sites that gave the company good strategic coverage of the East Anglia region. By 1989 Quinto had added 3 extra depots through acquiring Ben Beagle in Leicester, Robert Dixon in Ware and Charles Will in Gt Yarmouth. These acquisitions reinforced Quinto’s presence and strength in the East Anglia region. 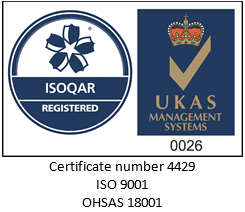 Over the years Quinto developed further services including machinery moving and an in-house training function. 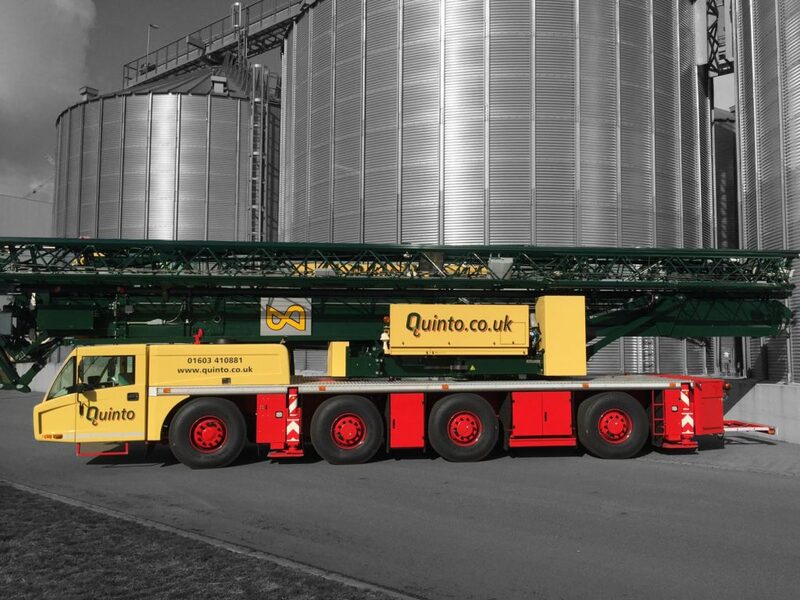 In October 2014 Quinto Crane and Plant Ltd was purchased by current owner, Oliver Arnold. Oliver immediately set about modernising Quinto, restructuring the operational practices of the business, centralising hire desk operations, allowing it to encourage a culture of co-operation and support between the company’s depots; investing in new fleet, equipment and expanding depots into key market locations.